For most people, a great musical is one which features catchy songs, amazing choreography and a compelling story. These elements can take weeks of rehearsal to perfect, therefore to some the idea of an improvised musical is preposterous. 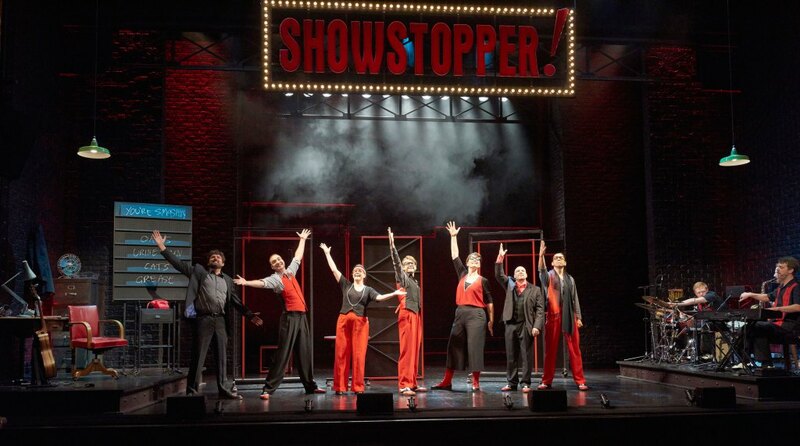 However, that is just what theatre company The Showstoppers are offering in Showstopper! The Improvised Musical. The premise is ingenious. At the beginning of the show the audience is invited to shout out ideas for plot points, settings, songs and even the show's title itself. The cast then improvise a full length musical based almost entirely on the audience members' suggestions. To many, the task would be entirely impossible, but the cast of Showstopper! demonstrate a level of harmoniousness which makes improvising a 2 hour long musical look effortless. The most fantastic thing about Showstopper! is that literally anything could happen. The night this review was written the musical was entitled Toga-hontas. Set in ancient Greece, two army generals returned from war to find their city destroyed by famine. The plot was full of love triangles upon love triangles, a slowmo gladiator fight and a trip to the underworld, and also featured songs inspired by Rock of Ages, Hairspray and Grease (what else?). Every cast member and musician worked incredibly hard and all were totally in tune with one another throughout the show. Every song was full of lightning quick quips, innuendos and double entendres which keep the audience on their toes. As well as the amazing tunes, the cast also improvised some hilarious comedic moments which had tears of laughter streaming down audience members' faces. The plot was slick, for the most part, and when the story did become sidetracked Dylan Emery (who acted as a host for the performance) was quick to step in and focus it. All in all, Showstopper! is the perfect night out for anyone who enjoys musical theatre, comedy, improv, or a combination of all three! No two shows are ever the same, so make sure you catch Showstopper! in Edinburgh this summer. 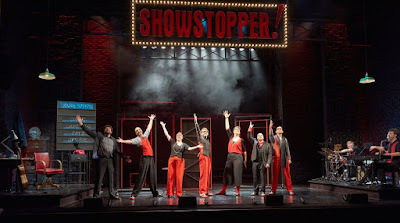 Find out more information by visiting their website at www.theshowstoppers.org!